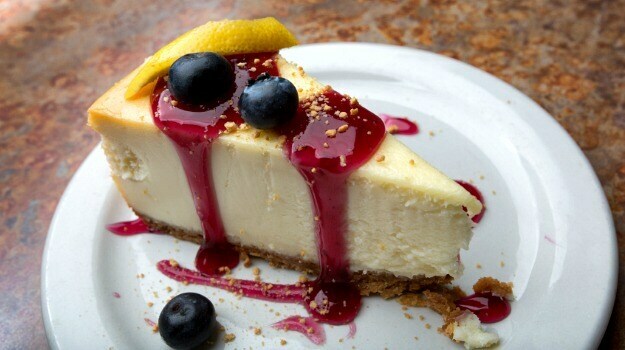 Not everyone who loves cheesecake has the patience to make one. And if you go out in search of one, it’s a confusing world out there. Sure there are restaurants that serve carefully-crafted, world-class, ingenious and to-die-for deserts. But more often than not, you’ll find yourself face-to-face with fabricated, icy and terribly sweet cakes and desserts that you wouldn’t even want to dig into for seconds. And this is why I’m going to show you how to make a cheesecake for which you won’t even need to own an oven, let alone learn how to use one. We have Italy to thank for cheesecakes in general but the United States gets gratitude for the no-bake version of it. There aren’t many noticeable differences between the two but a dedicated cheesecake lover will be able to tell you that the baked one has a sturdy and firm filling because it’s baked with whisked eggs, cornflour and other binding ingredients while the no-bake one is a bit more cheesy, soft, luscious and cloud-like. Base – There are two main ingredients that go into the case: something crumbly which would mean graham crackers and butter (umm, yum!). You can either break the crackers by putting them in a plastic bag and breaking them down with a rolling pin or crush them bit by bit, using your hand. A food processor works well too but personally I think it grinds the crackers too fine and I like mine a bit uneven, chaotic. Mark Bittman does a great version of the no-bake cheesecake when he suggests you mix crushed nuts with the graham crackers. Graham crackers are an expensive proposition in India so I’ve found the perfect substitute: Digestive biscuits! They also lend something extra to a cheesecake, this slightly salty flavour which goes beautifully with the cream filling. One chef recommended the use of ginger as well and you can throw those along with the biscuits and butter in the food processor, if you’re a fan of ginger that is. The filling – Melissa Clark puts it right “You can find a clear divide between cheesecake lovers, those who love the soft, creamy and dense cream cheese filling and those who adore the ricotta/goat cheese and more airy kind-a cheese layer.” We can create a perfect mix of both the worlds by using cream cheese and a bit of ricotta cheese, and I’ll show you how in the recipe that follows. Eve O’Sullivan of the Guardian suggests another great addition to the filling, cream white chocolate! I mixed some with cream cheese and even though it didn’t set as well as it should have, the taste was absolutely divine! I’m a personal fan of coconuts and you’ll be surprised at how well desiccated goes in a cheesecake. Since this is a no-bake cheesecake, the quantity of sugar you use doesn’t change the texture of the cake. So feel free to adjust the proportions according to how sweet (or not) you want it to be. What’s on top: Any kind of fleshy fruit goes well atop a cheesecake- berries, mangoes, raisins or alternatively, you can also puree any of the fruits and use that. 1. Blitz the almonds in a food processor. 2. Drop the biscuits in a plastic bag along with the walnuts and crush them with a rolling pin. 3. Mix the almonds and crushed biscuits from step 2. 4. Pour the melted butter over this and mix well. Press the mix into a tin, cover it with a cling film and refrigerate till its firm. 5. In a big bowl, stir the cream cheese, desiccated coconut, vanilla essence and castor sugar and pour it over the biscuit in the tin. 6. Cover with cling film and refrigerate for 3.5 to 4 hours. 7. Top with fruits of your choice. Cut and serve.